PEZO helps parents enrich and incentivize your children's screen time through the seamless integration of educational content. Compatible with iOS devices, PEZO blocks your child’s favorite apps until they correctly answer a set number of educational challenges. This comprehensive, educational block tool involves two apps: One for parents (PEZO Parent), and one for children (PEZO). 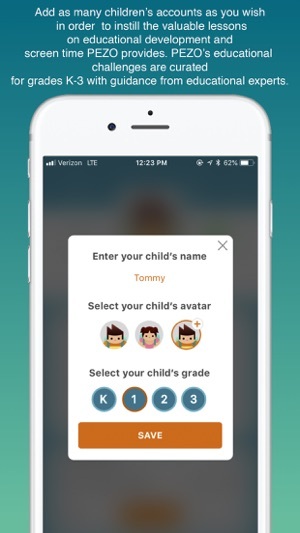 By downloading PEZO Parent from this page onto your device, you can adjust educational blocking time, set daily educational goals and track your child’s educational progress on their own device. When you download PEZO onto your child’s device through PEZO Parent, their favorite apps are blocked at the assigned blocking times.They can unlock their device by completing the set number of educational challenges. Children are incentivized to learn in order to unlock their device. By gaining the understanding that engaging with PEZO unlocks their other favorite apps, it also helps them manage their own screen time. PEZO’s educational content was created under expert advisement, and stays true to its founding concept of providing value to your child by enhancing their learning. Meanwhile, animated graphics and gameplay keep them engaged as they’re incentivized to learn and unlock their devices. 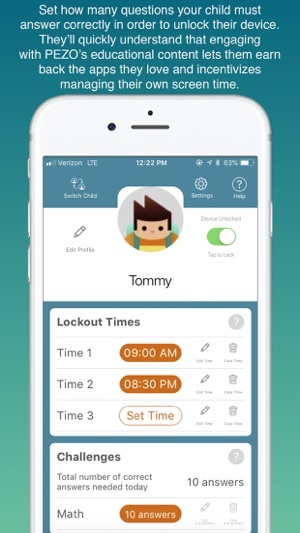 • A parent-only app for remotely monitoring and managing children’s devices. • Set daily goals for correctly answering educational challenge questions in order to unlock favorite apps. 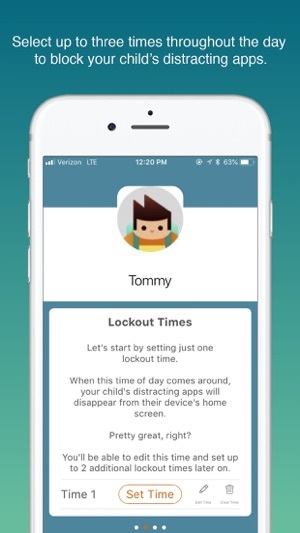 •Assign lockout times to block distracting apps on your child’s device, and determine how many educational questions they must answer correctly to unlock their favorite apps. •Manage the entire family by adding as many children and devices as necessary. • An app for children that blocks their favorite apps at assigned blocking times, and unlocks at the completion of the set educational challenges. Coming soon: New educational challenges so learning with PEZO becomes a more comprehensive experience! Download PEZO Parent and the accompanying PEZO app for children. Math challenges are included for free, with the option to subscribe to PEZO coming soon. When you subscribe, you unlock a growing range of educational challenges on different topics and subjects to further incentivize and enhance your child’s learning. PEZO is a parental screen time control solution with an educational twist unlike any other screen time management or educational gaming apps in the marketplace. Incentivizing your children to learn before they return to their favorite apps helps them understand screen time responsibility. Track your child’s progress as you supervise their educational development and they become incentivized to manage their own screen time. It’s time to see what happens when screen time becomes learning time.